Duckhams - I Say Ding Dong Shop - Buy Stickers, Decals & Unique Automobilia. Duckhams 'Next Service Due' Sticker. 2.5". 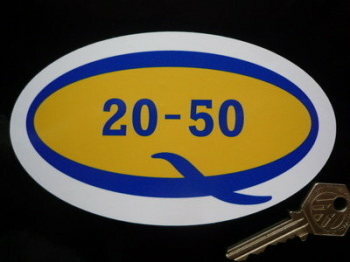 Duckhams 'Q' Oval Sticker. 7". 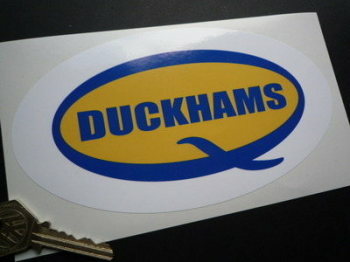 Duckhams 'Q' Shaped Sticker. 10". Duckhams 'Q' Shaped Stickers. 6" or 8" Pair. Duckhams 70's Style Oblong Stickers. 6" Pair. Duckhams 90's Style Slanted Oblong Stickers. 4" or 6" Pair. Duckhams Classic Style Close Cropped Text White on Blue Oblong Stickers. 18" Pair. 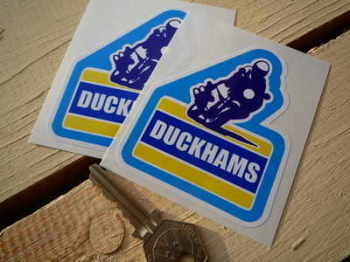 Duckhams Motorbike Rider Stickers. 2.75" Pair. 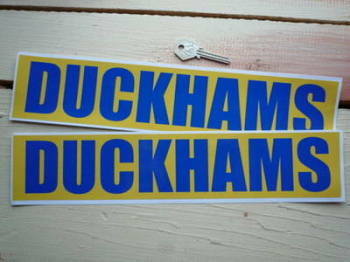 Duckhams Oil Classic Style Text Blue on Yellow Oblong Stickers. 14" Pair. Duckhams Oil Classic Style Text White on Blue Oblong Stickers. 18" Pair. Duckhams Oil Classic Style Text White on Blue Oblong Stickers. 6" Pair. Duckhams Oil Classic Style White on Blue Oblong with Yellow Border Stickers. 6" Pair. 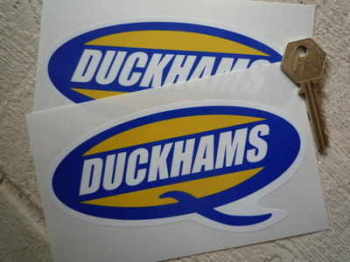 Duckhams Old Style Oval Shaped Sticker. 8". Duckhams Q 20-50 & Garland Stickers. 4" Pair. Duckhams Q 20-50 'Lubricated & Protected By' Service Sticker. 2.75". 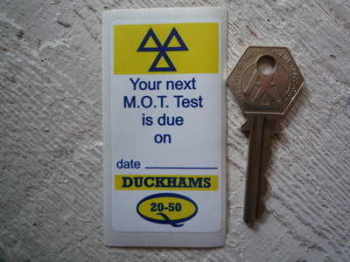 Duckhams Q 20-50 'MOT Test Due' Service Sticker. 3". 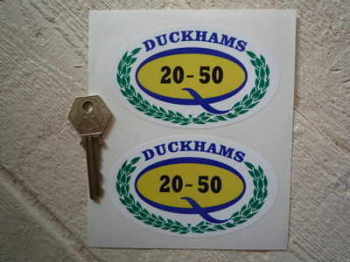 Duckhams Q 20-50 Oil Oval Stickers. 6" or 8" Pair. Duckhams Q Motor Oil Circular Stickers. 4" Pair. 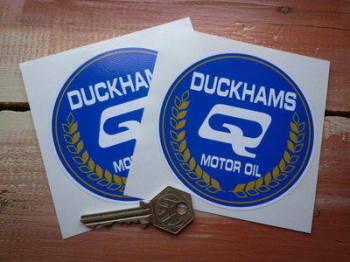 Duckhams Q Racing Car Oil Stickers. 3" Pair. 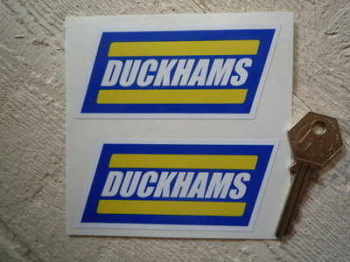 Duckhams Two Stroke Pump Engine Oil Style Sticker. 8.5". 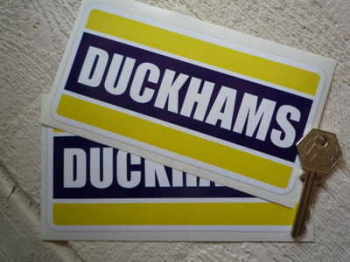 Hesketh Racing Duckhams F1 Formula One James Hunt Sticker. 4". 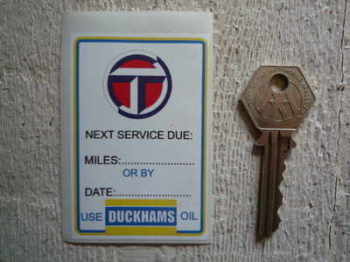 Talbot & Duckhams Service Sticker. 3".